Buddy Up with United Way to help young children to get a great start in school and life! Toyota of Santa Fe raises over $18,000 for United Way in 2018. United Way of Santa Fe County is here to help your entire family get off to a Great Start! 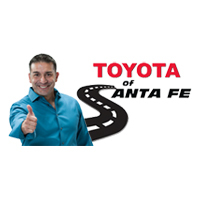 Supporting United Way of Santa Fe County has become a tradition at the Toyota dealership in Santa Fe that goes back to 2002 when it was Beaver Toyota. Raising a child is the most important job out there. Not to mention one of the most challenging. At United Way of Santa Fe County (UWSFC) we offer programs that are based upon research and driven by family need. Our programs are created on the premise that when families with young children find hope, support and opportunities for early learning, the benefits stretch well beyond childhood. Available to all, UWSFC’s forward-thinking, two-generation programs start before your child is born and continue through age five. Toyota of Santa Fe helped to promote United Way of Santa Fe’s after school program by promoting a special opportunity for parents and kids to join them at the mall. This event was promoting on television.